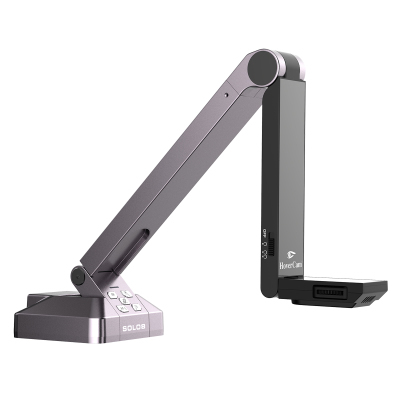 The HoverCam visualisers assists people complete tasks more efficiently, from scanning right at the desk to improving remote collaboration. The HoverCam helps people save time, communicate more clearly and achieve better results than the camera or scanner they are currently using. From a technology point of view, The HoverCam Solo 8 is the world’s only device that incorporates USB 3.0 and an 8-megapixel sensor that generates full-motion video over USB. It also combines the features of a SLR camera for taking photographs, scans and recording video. HoverCam Solo 8 costs £349, so ROI is fast. Content creation to take and drop snap shots and video clips into presentations and documents. There are hundreds of other uses, from inspection of circuit boards at factories to jewellery at Tiffany’s. All of those tasks are done more easily and better with a HoverCam than a tablet, smartphone or traditional visualiser. In an office with a shared all-in-one fax-printer-scanner time is lost getting up from the desk to walk over to the scanner. With a HoverCam at your desk, save time by not walking to the other side of the building to scan. Plus, The HoverCam scans in just 1 second and doesn’t require painful software drivers. You can scan anything: text, invoices, receipts, business cards, whiteboard drawings, post-it notes, solid objects, tablet screens, and more. Reduce desk clutter and paper files. Your path to the paperless office. HoverCam Solo 8 incorporates an 8-megapixel sensor. Solo 8 is a high-resolution USB 3.0 web conferencing camera with a 30 frame/second refresh rate that can be used with Skype, GoToMeeting, WebEx, Zoom and other conferencing systems to show clear, live images of documents, drawings, blueprints, objects and people during online meetings. HoverCam does so much more than a plain old webcam. It opens the door to a pixel paradise. With a cost of just £349 for Solo 8, ROI can be achieved in a day. A utility company in Minnesota purchased a HoverCam to train staff how to use a new iPad app and said they obtained ROI in one session. Moreover, the trainer recorded an instructional video using the HoverCam showing how to use the app for those unable to attend the live training session. Companies are saving thousands of pounds in travelling costs by having software trainers record training lessons and posting them online for staff in remote locations. And, Solo 8 out of the box costs hundreds of pounds less than other USB 3.0 or 4K cameras. The HoverCam shows clear images of a smartphone or tablet screen and is an easy way to demonstrate or train how to use apps. What’s more, using the HoverCam the audience can observe the presenter’s fingers and hands to fully understand how the app is controlled. The HoverCam is portable. Plug it into the USB port of your ultrabook or notebook computer and you can scan anything, anywhere. The HoverCam works better than a smartphone or tablet for scanning multiple documents perfectly aligned into a single PDF file. Any image grabbed, shot or taken with the HoverCam can be drag-and-dropped into any Windows program, making it easy to enhance documents and presentations with images, quickly. Compared to a traditional flatbed scanner or all-in-one (AIO) printer, the HoverCam’s base is just 4” diameter. 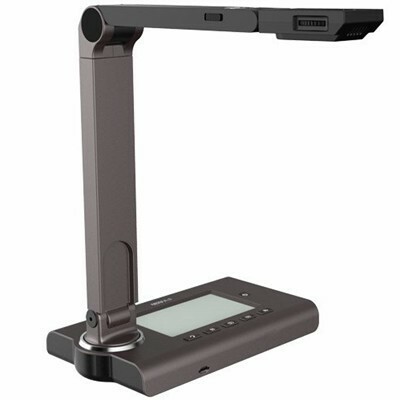 The HoverCam sits on a small section of a desk and is always available to scan, Skype or record a video when you are since it’s always plugged into the computer and powered by the USB cable. The pocket-size Mini takes up even less space. HoverCam Flex software, imbedded inside each HoverCam unit, allows you to scan, photograph, record video, and most importantly, manage and share all the files you’ve created. Scan to specified folders. Stack multiple images into one. Convert to PDF. Email. Upload to Dropbox, Evernote and other cloud services.